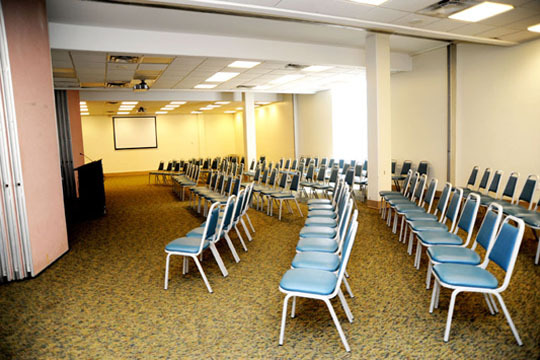 Event Services takes pride in our ability to provide meeting spaces in unique and special venues. Our staff will help create the right atmosphere for any meeting or event. 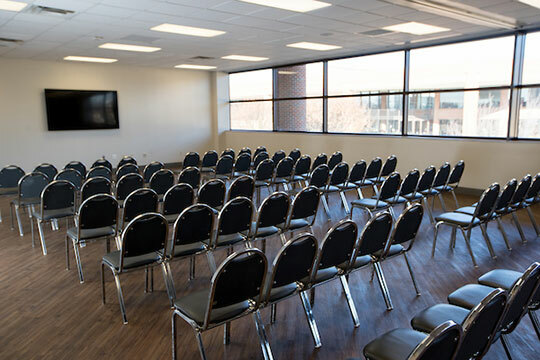 The Boling University Center has 10 meeting rooms to support the meeting, dining, and programming needs of the campus community. Some rooms are can be broken into separate rooms for conferences and camps. We can accommodate groups from 10 to 550 and offer a number of support services including catering, audio/visual equipment, telecommunications, and computing services. The Student Life Center offers a versitale space which can accomodate up 300 people for a sit down program with chairs, 150 people for an event with round tables, and a classroom for a group of 20 - 30 poeple. Reservations can be made by visiting the Office of Student Life in room 245 of the University Center or by clicking the link below. The staff is ready to assist you in determining how the University Center can best meet your needs. You can refer to the event space information below for complete information about meeting spaces and their audio/visual capabilities. 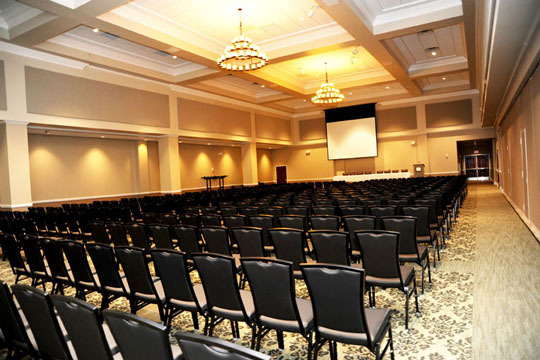 The Boling University Center offers a wide range of event space to accommodate almost any programming need. We hope the information below will help you in planning your upcoming events, however as always feel free to stop by or call if you have any questions. The Watkins Auditorium is a 550 seat multi-purpose event venue. 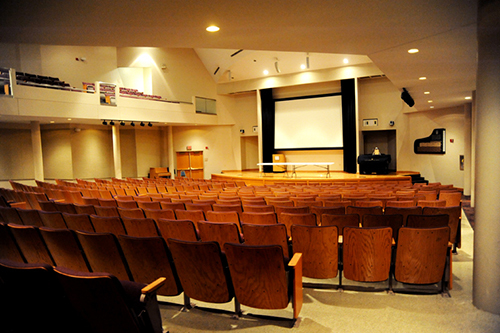 The auditorium is equipped to support computer presentations, DVD/VHS presentations, and a wide range speaking, entertainment, and musical programming. The auditorium features a Bose digital surround audio system is the home of the Student Activities Council weekly movie series. Seating Fixed - 550 theater style seats. 360 seats on the first level. 190 seats on the second level. A/V Equipment Fixed Equipment - PC, DVD, VHS, CD, and Cassette. Wired and Wireless microphones. The ballroom is a 4000 square foot flexible event space. The ballroom features hardwood floors and two chandeliers. The ballroom can be configured to support a wide array of programming. Below are some common ballroom setup arrangements. Seating Theater - 400 seats, Classroom - 200 seats, Conference - 64 seats, Rounds - 350 seats. A/V Equipment Fixed Equipment - 10X15 projection screen, Digital Projector, PC, Wired and Wireless microphones. The Legislative Chamber is home to the Student Government Association and the Faculty Senate. 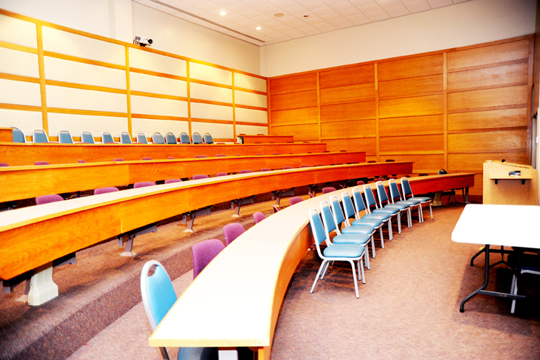 The room features a tiered classroom, fixed seat arrangement. A/V Equipment Fixed Equipment - Projection Screen, Digital Projector, PC, DVD/VHS, Stereo Speakers, Dry Erase Board, and a PA system. 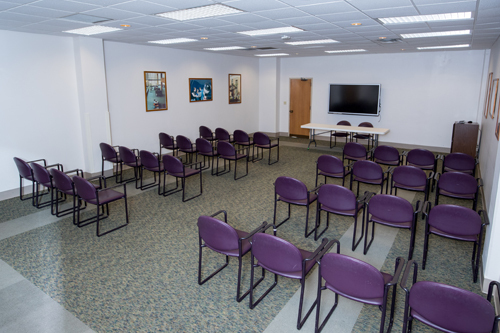 Room 206ABC is a spacious, flexible event space that can be used as one large room or divided into three smaller spaces. The room features an incredible view of the Paul Meek Library and the Quad. 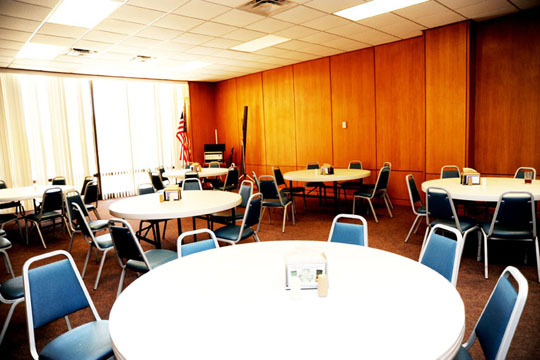 The room is regularly used for meetings, conferences, and dining functions. A/V Equipment: Fixed Equipment - PA system with wired and wireless mics that cover entire space. DVD/VHS player. 206A and 206C have fixed projection screens and digital projectors. Each room has video connections for a PC. Room 230ABC is another flexible event space that can be used as one large room or divided into thirds. 230ABC is the home to the weekly meetings of the Kiwanis and Rotary Clubs. A/V Equipment: Fixed Equipment - PA system with wired and wireless mics that covers the entire space. 230B and 230C have fixed projection screens, digital projectors, and PC video inputs. 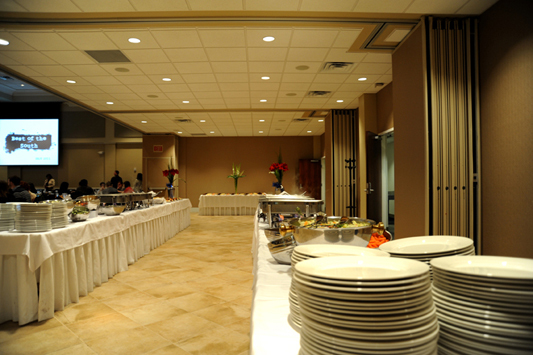 Room 225ABC is primarily utilized as the buffet room for meal functions in the Duncan Ballroom. 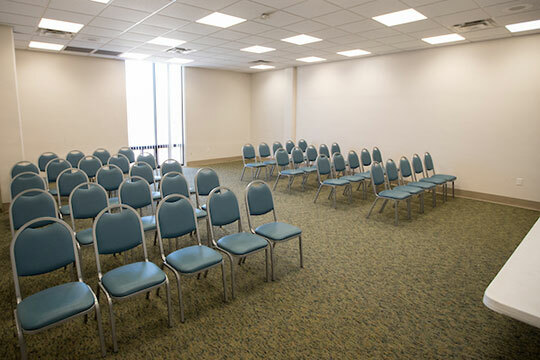 The room can used independently as one large room or divided in thirds. Room 229 a flexible meeting space heavily utilized for meetings, conferences, and small dining functions. A/V Equipment: Fixed Equipment - Projection screen, digital projector, PC video input, and DVD/VHS player. Room 231 a flexible meeting space heavily utilized for meetings, conferences, and small dining functions. Room 217 is a small conference room. 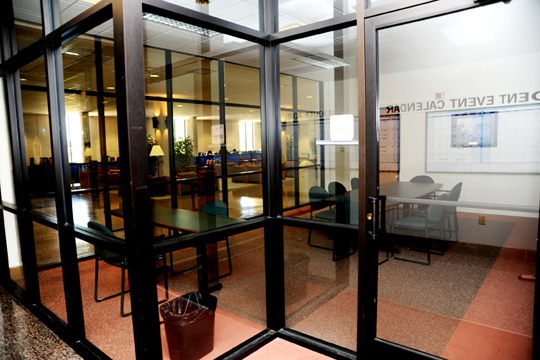 Nicknamed the "Fish Bowl" because it features a glass wall with a view of the 2nd floor University Center Lobby. Room 125 is a private dining room located in the back of the Skyhawk Cafeteria.